…family to share meals with (both family I’ve had since I was born, and family that are new in the last year and a half). 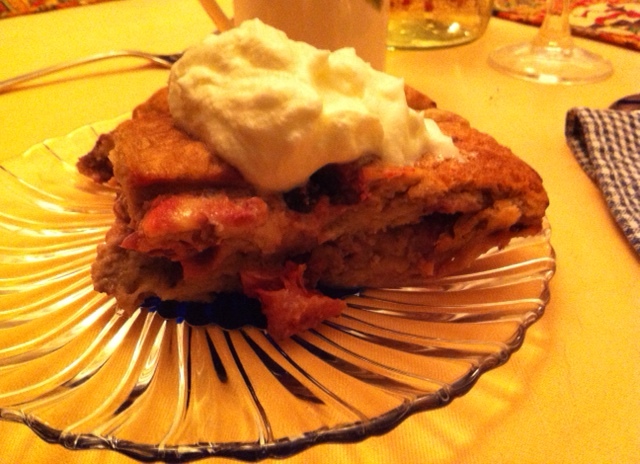 …this delicious bread pudding we made. …the chance for everyone to think about things they are grateful for. …the fall weather and how cozy it makes the indoors. This entry was posted in Leah's thoughts and tagged Autumn, Thanksgiving. Bookmark the permalink.